Are You Slowly Killing Yourself With Food & Bad Habits? A bit heavy for a Thursday evening isn’t it? 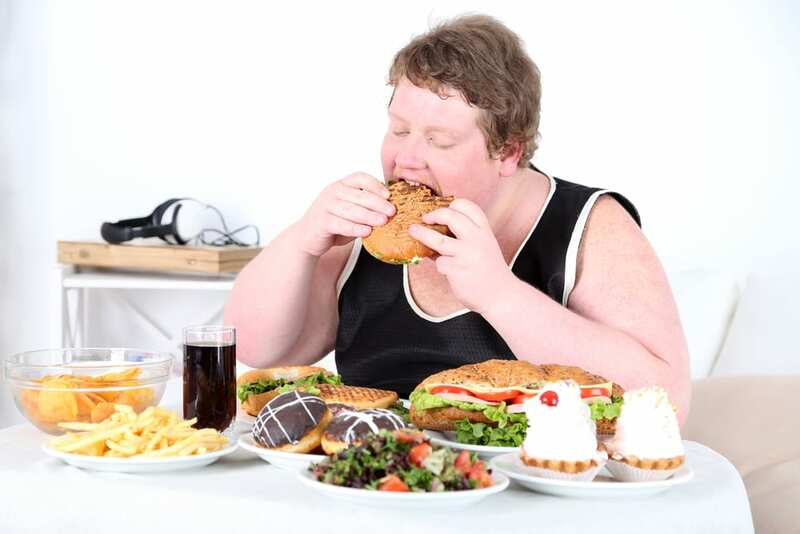 Obesity related diseases are killing people everyday! 62% of adults in England are overweight – more than two-thirds of men and almost 6/10 women are overweight or obese! Most people are aware that our nation as a whole is getting fatter, unhealthier and more and more depressed by the minute! In a nutshell this is down to moving less, and eating more sh*te (sorry mum!). We live in a day and age of cr*ppy processed foods – full of stimulants, and chemicals which wreak havoc with both our mind and body. We’re also lazy gits, driving to work, and taking elevators/lifts instead of walking our butts up a flight of stairs! We may be living longer thanks to BIG Pharma and their endless supply of lethal drugs (a rant for another day! ), but you could argue is the quality of life worth living when we’re broken and in constant mental/physical pain? Taking 10+ pills per day, and being in constant pain isn’t a good way to live your life is it? Are You Looking After Your Garden? Being overweight/obese is like having a neglected garden. A garden with shrubs and weeds everywhere, a garden with no structure, faulty foundations and one which looks and feels crap! You either continue neglecting your garden, or you man (or women) the F up (pardon the French!) and get that lawn mower out, fill the rubbish bags full of weeds and turn that messed up garden into a piece of art that you’d be proud of showing off in the Chelsea Flower show! lol! If you’re overweight/obese you’ve got to start looking after yourself or you’re going to face the following consequences…. OK Nick, so i’m overweight and unhealthy what the heck can I do about it? I know how difficult it can be trying to change your habits and behaviours. Most people reading this will have attempted to lose weight in the past, but either failed or eventually couldn’t sustain it and ended up pilling back on the pounds (and more!). #1 if you believe you can…you can. If you believe you can’t…you can’t! If you don’t believe you can lose weight and improve your life then guess what?…. It’s that simple unless you remove those negative beliefs about yourself you are destined for failure. Most of these beliefs are embedded and they go beyond your awareness. They lie in the subconscious mind and aren’t always easy to detect. If for example you were bullied at school and were made to feel that you weren’t good enough by your peers and you eventually took that as a belief about yourself….IM NOT GOOD ENOUGH! then this is the person you become. It becomes a self fulfilling prophecy and you end up leading a poorer quality of life because of your belief. It will become apparent in every facet of your life, not just your health, but your career, relationships, you name it! Until you address these limiting beliefs, and insecurities you can’t move forward. You need to be brave and admit that you have issues and then you need to spend time working on yourself. You can do this by hiring a coach, or reading books on self development (if you want some recommendations then send me a message. I’d love to help!). This isn’t sustainable. If your garden is a mess, and has been neglected for years…you’re not going to do a 60 minute makeover! It’s going to take time and the longer you’ve been struggling and neglecting these areas the longer it’s going to take. You may have to spend 6 months weeding out the roots (getting rid of those negative beliefs). You’re going to have hiccups along the way, you’re going to have days when the weeds grow back, thieves steel you garden tools lol!, bad weather ruins your plants! etc, etc! It’s going to be tough! BUT You’ve got to stick with it, and look deep within in order to address these uncomfortable issues/areas holding you back. You need to stop seeing your weight loss project as something you can fix overnight. Like I keep mentioning see it as a ‘long term garden project’, and one that’s going to take more time than you think. A long journey that’s going to have it’s ups and downs along the way. Start with a vision, how do you want your garden (body) to look? Imagine if you could just wave a magic wand and have the body of your dreams? how would it look and how would it feel to have it this way? Then you need to reverse engineer and start from where you are now. Start investing time into yourself, water your garden everyday by reading books, hiring a coach, walking, doing light exercises, and then start to ramp up the intensity as your confidence grows. In a couple of weeks you’ll notice a difference, after a couple of months of hard work the landscape will start to change, and you’ll see progress…. You have to keep maintaining your garden. The weeds will grow back, and if you neglect them long enough…you’ll eventually be back at square one. It’s about going on a journey of self discovery. Learning about your insecurities, and dealing with the uncomfortable feelings you have about yourself. It’s about learning better strategies to cope with stress, overcoming adversity. It’s about building confidence that stems within. It’s a life long endeavour to become a better person and improve the quality of your life. Focus on the journey, enjoy the hiccups, the blips, the good and the bad, for they will all lead to building a stronger version of YOU. Unfortunately when it comes to your mind and body…unlike gardening you can’t pay somebody to do it for you! IT’S DOWN TO YOU TO FIX IT & LOOK AFTER YOURSELF.